Zeblaze Rover, the slimmest smartwatch in the world with a thickness of just 8.8 mm making it to be the finest wearable gadget. With it’s 8.8 mm case, it made a huge step towards design over luxury. Besides the ultra thin case, this slimmest smartwatch has toughened OGS panel and a premium leather band. This is not the first time we’re writing about some of the budget friendly smartwatches with high-end specs, earlier we posted about Zgpax S28 smartwatch and the recent one was MiFONE W15. We even explained why we need a smartwatch when everyone has a smartphone, what makes everyone to get a smartwatch etc. Read more: Why we need a smartwatch ? 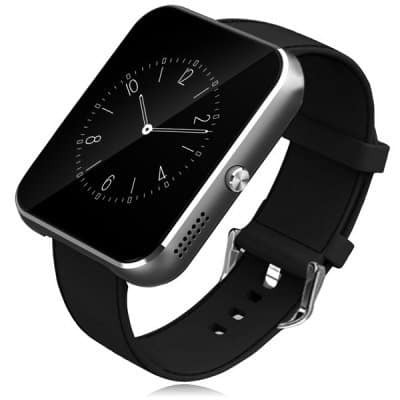 Coming to this slimmest smartwatch, Is there something special in this besides the ultra thin case ? well the answer is Yes! let’s see the Key Specifications of Zeblaze Rover first. It has 1.54 inch TFT screen with a 240 x 240 HD resolution, readily provided with the protection from scratch, shock and drop. Inside the smartwatch it has MTK2501 processor with a clock speed of 108 MHz. 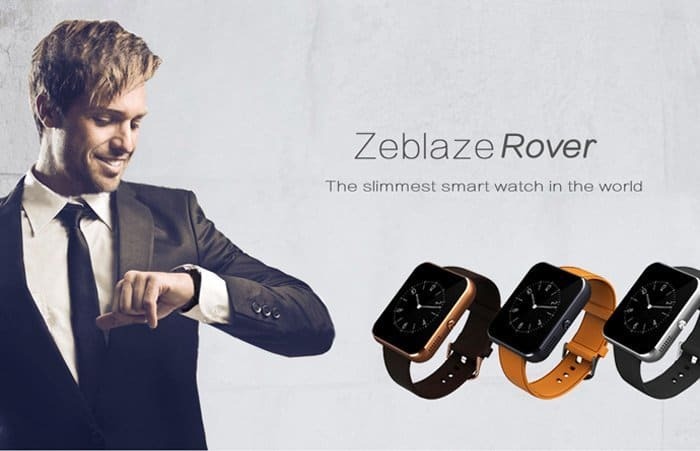 This ultrathin smartwatch connects with other gadgets using Bluetooth 4.0 and also it is compatible with both android and iOS devices. Anti-lost alarm- If the distance between the smartwatch and smartphone increases, the watch sends alarm message to the phone. Some other features include playing music, find your phone, contacts etc makes this gear a useful wearable gadget for all the tech lovers. As we’ve already mentioned this smartwatch is compatible with both Android and iOS ( 4.0+) devices, one must need to install the Smartblue app to their phone, so it will make the smartwatch to display all the notifications from the phone over it. Here’s the QR code to scan, download and install this app in your smartphone which will let’s you get connected/synchronize with your phone. Everything is clean and clear with this smartwatch, but what about the price ? will it be over 300$ or 500$ ? well, it’s just $69.99 ( less than 100$) which is economical and budget friendly.